Thank you everyone, for being so enthusiastic about the award nominations thus far. It certainly has been fun writing these posts. It has also helped me to get back into the swing of things, especially since the past few weeks have been exhausting and not all that pleasant. I’ve definitely been feeling very under the yucky weather. Having already taken a couple of days sick leave at the beginning of the week, I sat up in bed one morning towards the end of last week, and was almost knocked backwards with a horrible dizziness and nausea. Thinking that I was perhaps very hungry, I dragged myself woozily downstairs to make some breakfast and tried to eat it. Half-way through my muesli and not feeling any better, I tried to put my head on the table. That usually works on dizziness right? Nope. I felt so ill, and yet the nausea was not the kind to make me want to throw up. It was horrible. I lugged my body back upstairs and crawled back into bed. I stayed there for another age and finally got up gradually around four in the afternoon. Actually, this time of year, I think we call that evening over here. I hear that my symptoms were down to a bug that’s going round. I haven’t apparently been the only one to be KO’d by this monster. It took me days to get over the feeling of dizziness. I didn’t dare drive or anything. Hopefully that bug’s defeated for the winter. Hope those of you falling towards winter out there are wrapping up warm and are not inhaling germs from people who indiscriminately sneeze into others’ faces. Ugh. So inconsiderate. And disgusting. Please icky people on the Underground, smother your germs. Aaanyway public health announcement over and, without further ado, let’s get onto the final award. The first three nominations posts are here, here and here. And the first ever, almost five months ago, is here. So feel free to check these out too for some great weekend reading, if you haven’t already done so! All About Ami – Stephanie is about as sweet as her delightfully cute amigurumi creations. If you love crocheted things, you will love this site. And there will be a long awaited first addition to the family this month, how exciting! How About Orange – Jessica, a graphic and textile designer, has a bright and fresh blog featuring craft projects, lots of inspiration for people who like to create and not a little bit of orange. ziggyshortcrust – Last but definitively not least, the blog of my first blog friend ever. Ziggy is a friend of elves for a start, but there is so much more to discover than first meets the eye. For a start, she elfed my imaginary daughter for me. Just check this out to see what I’m talking about for yourself. Thank you to everyone for taking your time to read and comment and like. Welcome to friends old and new! I do really appreciate your being here. Have a restful weekend. Categories: Frivolous Fridays | Tags: amigurumi, art, awards, blogging, community, creativity, crochet, design, elves, germs, health, inspiration, life, writing | Permalink. Oh you are so good. I’m so bad! I’ve got some real catch up to do acknowledging these heartfelt awards. The more time that passes the harder it gets. Thanks again. Hope you are feeling better now. 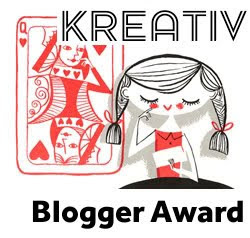 Thank you so much for nominating me and for the incredibly kind description of my blog and I! congrats lemons! the pic on this award is so cute. pls take care of your health too and hope the flu bug goes away real soon. Thank you Mags, lovely to see you. I’m wrapping up warm! You take care too!